Scenario: Ayumi Yoshida is walking home when she sees lights on in an old abandon house where an unsolved murder occurred several years ago. She convinces the Detective Boys to sneak in and explore the house. Genta and Mitsuhiko suddenly disappear. Conan and Ayumi follow an old woman down a hidden stairs and find a caged man. Conan's postulates that the man is the son of the murdered man and is being held against his will by his mother. She refuses to let him confess to the police. 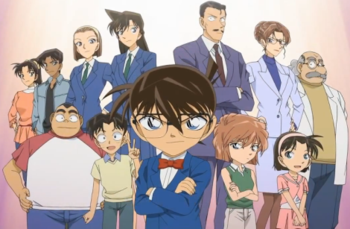 Conan manages to persuade the mother that her son, Abraham, wants to confess for his crime rather than live with the guilt. Abraham turns himself in the next day along with his mother. Genta and Mitsuhiko are found sleeping outside. 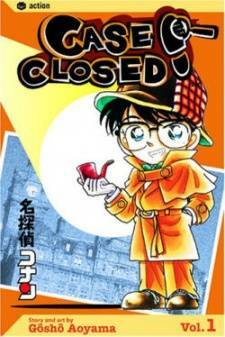 Later, the Detective Boys decides to investigate another haunted house which actually belongs to Conan.